“President of what?” you ask. And that is one of her strong points, I say. She is also an achiever, a giver, a loving supporter of her nationally famous husband, former UGA Athletic Director and Head Football Coach Vincent T. Dooley, and their four children. She holds a master’s degree in guidance and counseling from Auburn University. 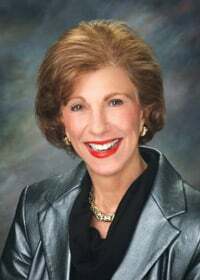 She served 10 years on the Board of Directors of the National Football Foundation and Hall of Fame and the state of Georgia Mental Health Board. She was the recipient of an award for her service to the National Jewish Hospital. She is a past chairman of the Athens Multiple Sclerosis drive. To list all her community activities and service awards would fill a book. Some of those honors include Athens Woman of The Year, Chairwoman of the Georgia Heart Association, Grand Marshal of the Special Olympics, chair of United Way and recipient of the Boy Scouts of America Distinguished Citizen award. Barbara has had an active real estate license for 25 years. And, of course, in most of those 25 years she has been one of the most successful agents in Clarke County. She has also battled breast cancer, back surgery and a knee replacement. After undergoing chemo-therapy and radiation, she is now cancer free. But she still suffers with her back. Dooley hosts her own radio show over at WRFC in Athens five days a week. She is totally free to express her opinion, which she does in no uncertain terms. When her youngest son, Derek, was having a poor season in his first year as head football coach at the University of Tennessee, Knoxville sportscasters were advocating that his stay at UT be short-lived. Barbara Dooley fired back that maybe the sportscasters’ stay should be short-lived. “Now about politics,” Barbara says. “I have never thought about it, but I have always thought I could do most anything. Barbara and Vince met at Auburn where she was a student and he was an assistant football coach. They saw each other the first time at a Sunday church service. They have been in Athens in the same house for 45 years. When the late University of Georgia Athletic Director, Joel Eaves, gave Vince his first coaching job, little did he or anyone else know that Vince would be the Bulldogs’ coach for 24 years, post 201 victories, be NCAA Coach of the Year twice, SEC Coach of The Year seven times, that he would produce a Heisman Award winner in Herschel Walker and win a national collegiate championship. “Watching Vince through those years prepare for each football season taught me the importance of setting goals and aiming for those goals with complete dedication and resolve,” Barbara says. Barbara is in great demand on the speaker’s circuit. She could be speaking every night of the week but limits herself to four or five times a month. She talks to corporate chieftains and high school and college students and makes time to visit hospital patients. That has been her schedule for 25 years. “At Georgia, when Vince was coaching, my biggest thrills were when Buck Belue threw to Lindsay Scott, and Lindsay ran, ran, ran. And of course, going on to win the national championship [and] beating Notre Dame. The other Dooley children are Deanna, Daniel and Denise.